Describe engineered bamboo and LVB as high-performance, bio-based, and rapidly renewable green building materials and related building methods. Discuss typical applications of structural bamboo products to building envelopes and structures that increase the use of rapidly renewable materials. Identify general criteria for designing building envelope systems with engineered bamboo and LVB, including codes and standards, for greater use of rapidly renewable bamboo. Explain how recent developments in structural bamboo products and LVB construction products apply to various envelope options and performance needs for high-performance green building. Bio-based material technology companies are developing a range of new products that improve both building sustainability and performance. In some cases, these architectural materials and systems also increase efficiencies in design and construction. One prominent example has emerged over the past decade with the introduction of dimensional, prefabricated components of performance-grade engineered bamboo. The benefits of the bamboo structural products are especially evident in the design of building envelopes and enclosures, from curtain walls to windows to rainscreens. Employed for building structures and other architectural and original equipment manufacturer (OEM) applications, the bamboo-based panels, dimensional components, and hybrid systems offer warm, natural aesthetics. Yet engineered bamboo products (EBPs) can replace timber and engineered wood in architectural works where higher performance is desired, both in terms of sustainability and dimensional stability. Architects are beginning to find that structural engineered bamboo can serve well in contexts where metal, steel, or extruded aluminum assemblies are the norm. Hybrid solutions are also more common in recent years, a design approach pairing bamboo with steel, concrete, and other structural materials. 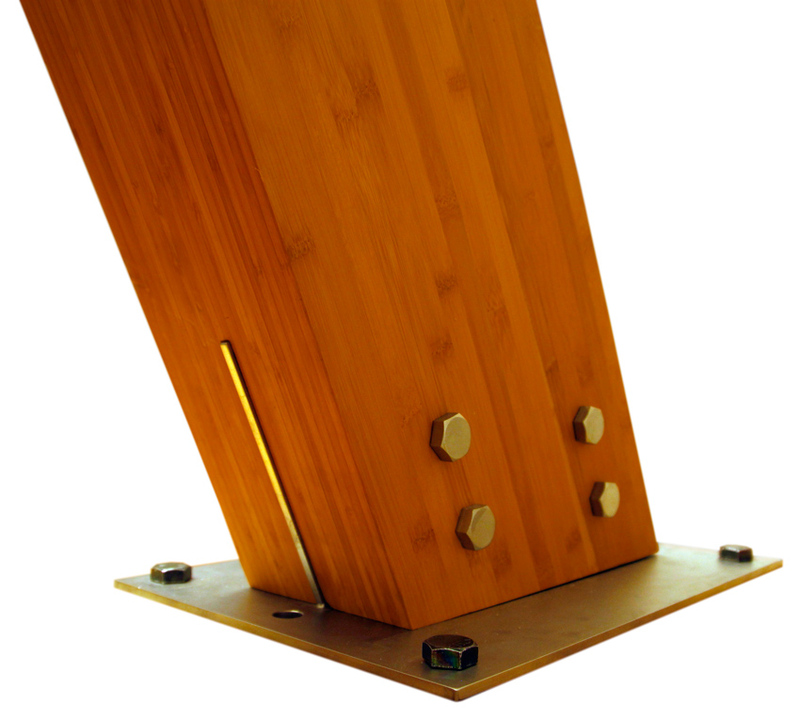 Modular, prefabricated components of performance-grade engineered bamboo are used for building enclosures to provide high performance, sustainability, and dimensional stability. Behind the scenes, manufacturers are discovering ways to boost the performance of engineered bamboo to achieve greater sustainability as well as improved durability, uniformity, and strength. This means that architects and end users can rely on structural engineered bamboo for longer spans, larger loads, and more extreme conditions. 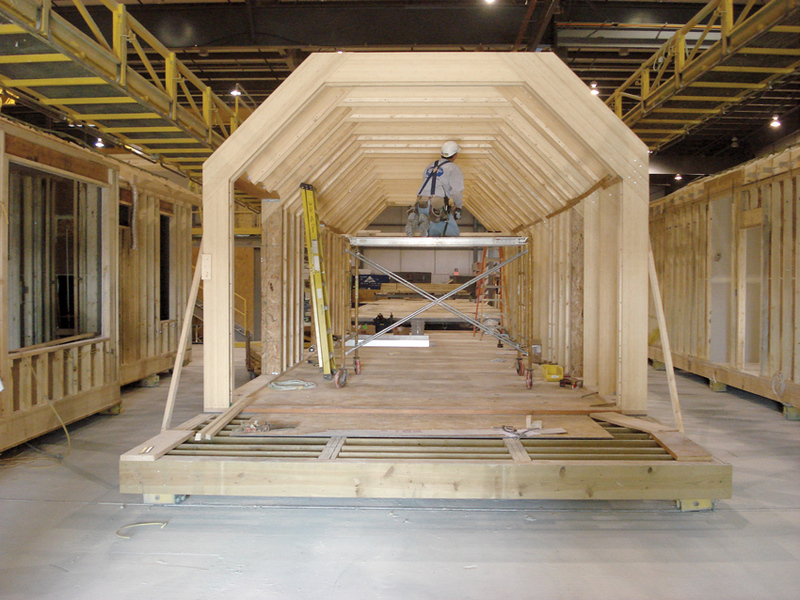 Facilitating these advancements are manufacturing enhancements to make stronger and more durable glulam beams and common dimensional components, as well as hybrid structural solutions and complete systems. In addition, more options are available to project teams needing assistance in using EBPs. For architects, today’s manufacturers of EBPs offer EBP consulting, shop drawings, detailed structural system analysis, engineering, custom three-part specifications, fabrication, and installation advice as needed for their projects. Williamson County Regional Airport terminal project in Marion, Illinois, the A/E firm RS&H has designed a domed roof structure with hybrid steel-and-bamboo cross bracing. 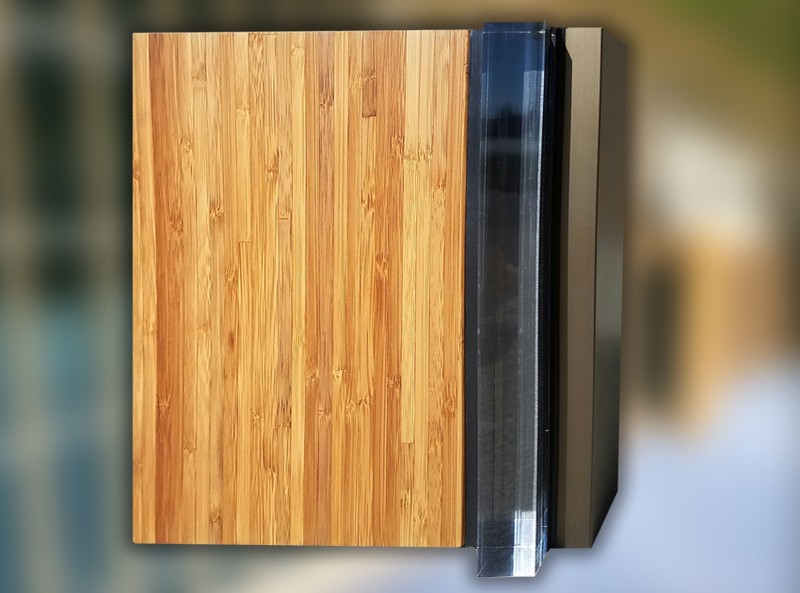 For these reasons, EBPs, as well as laminated veneer bamboo (LVB) materials are increasingly used for building exteriors and as exposed, load-bearing members. For sustainable buildings and LEED-certified projects, EBPs are used for facades, cladding, curtain walls, structural glazing, as well as a range of window and door solutions. The use of engineered bamboo for structural systems have been well established. What is changing is the variety and creativity of uses in recent building designs. An example of this is the Williamson County Regional Airport terminal project in Marion, Illinois, designed by the architecture and engineering firm RS&H. As seen in the above picture, it has a novel domed roof structure with hybrid steel-and-bamboo cross bracing for a central atrium. The structural bamboo beams are visible in the ceiling within the terminal and provide a unique design feature to this project. Other examples include an entry for the U.S. Department of Energy’s Solar Decathlon by the University of Illinois at Urbana-Champaign, using engineered laminated bamboo for structural elements and reclaimed barn wood cladding. Certified by the U.S. Passive House Institute, the innovative project called Gable Home uses 90 percent less energy than typical construction. Considered an alternative material technology, engineered bamboo takes advantage of “a rapidly renewable material that has many applications in construction,” according to Dr. Bhavna Sharma, a structural bamboo expert and lecturer at the University of Bath’s Department of Architecture & Civil Engineering. “Engineered bamboo products result from processing the raw bamboo culm into a laminated composite, similar to glue-laminated timber products.” Dr. Sharma continues by stating, "This bio-based resource also resembles wood in its mechanical properties, yet it has a faster growth rate and harvest cycle. "1 In addition, bamboo is found in many places where softwoods and hardwoods are limited. Essentially a giant grass, the bamboo plant comprises a hollow, tapering culm (stalk) of longitudinally oriented fibers divided by nodes. From the interior to the exterior, the bamboo fibers increase in density. These fibers are essential to creating structural-grade engineered bamboo. One manufacturing method produces strand-woven or parallel-strand bamboo, made from crushed fiber bundles soaked in resin and treated under pressure to create solid, dense slabs. A second method, known as laminated bamboo, also maintains the longitudinal fibers as the parallel-strand process does, but it also takes advantage of the natural culm matrix. The bamboo stalks are cut and planed, and then processed as desired prior to the lamination and compression in board form. This process typically utilizes less adhesive and tends to provide higher strength-to-weight values. Today, attention has shifted to applications by architects, engineers, and OEMs for interiors, exteriors, and structures. The strength and efficiency of EBPs and SBPs—along with the positive carbon footprint of rapidly renewable bamboo—make it a suitable choice for high-performance buildings. Yet, adherents within the industry and the construction community have focused on how to design with structural bamboo products. The findings have included innovative architecture on the one hand, and on the other hand a raft of innovations in modularity, system integration capabilities, and installation techniques. The products are also engineered for a high degree of uniformity and consistency, ensuring tolerances within those required for building enclosures and structures. Engineered bamboo products are engineered for uniformity, consistency, and typical construction tolerances so they can be used just as readily as steel, aluminum, or plastic components. As a result, structural bamboo can now be incorporated into an architectural project’s envelope just as readily as its steel, aluminum, or plastic counterparts. In some cases, as is outlined in this course, there are advantages to using bio-based materials over traditional metals and other structural systems.